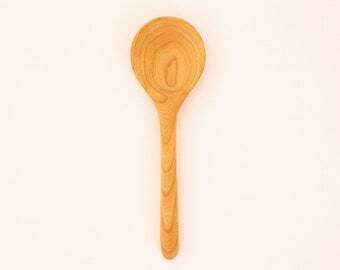 This spoon is available to ship the next business day. Free domestic shipping! 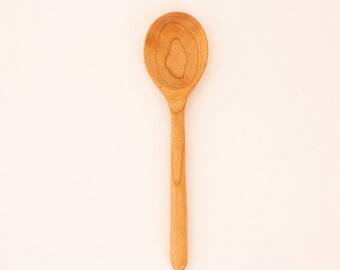 A small child's eating spoon or baby feeding spoon handmade in local birch wood. 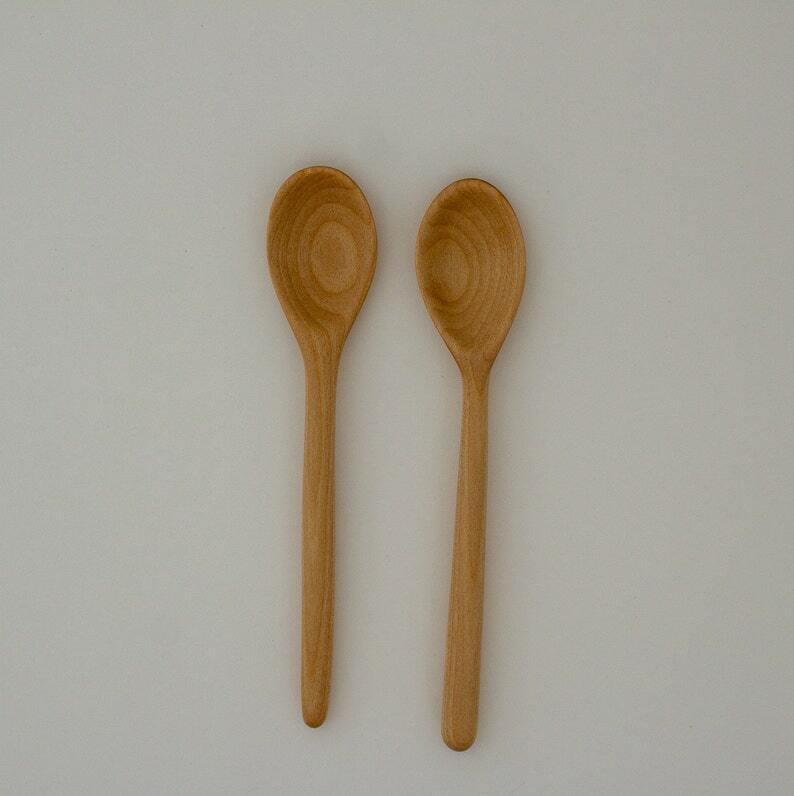 Sanded smooth and finished with food safe flax-seed oil. There are 2 of these available. BIRCH- Very light blonde wood. Grain can be visible but is light. 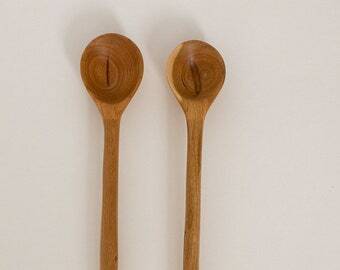 Bowl Depth (approximate): wood 1/4" bowl 1/8"